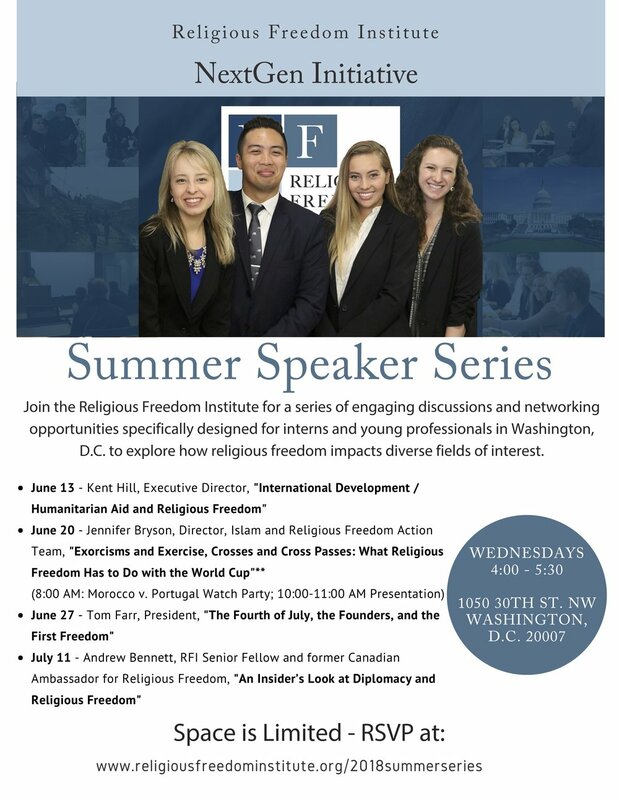 This summer, the Religious Freedom Institute (RFI) will host a series of engaging conversations designed for interns and young professionals in Washington, D.C., working in a wide variety of disciplines, to expose them to what religious freedom means, ways in which it impacts their work, and to network with other young professionals and the Religious Freedom Institute team. The 90-minute sessions will feature a 30-minute keynote discussion or conversation with one or two speakers, followed by 30 minutes of Q/A, and a 30 minute session for open discussion and networking. We invite you to join us for any or all of these presentations, which will take place on Wednesday evenings throughout the summer.